Most woman can agree that pregnancy is an especially stressful time of life. It isn’t just the physical stress, either. Although morning sickness (or hyperemesis gravidarum), food cravings and aversions, round ligament pain, and difficulty sleeping cause their fair share of stress, the mental stress and worry is often worse. Society has a huge amount of advice for expectant mothers. Don’t eat the sushi, but do eat fish. Get enough protein, but avoid deli meat. Eat lots of greens, but watch those recalls for listeria, salmonella, and e coli. Stay fit, but don’t overdo it. Get enough rest, but keep up with your other littles so they don’t feel neglected. The worry is often worse than the round ligament pain. 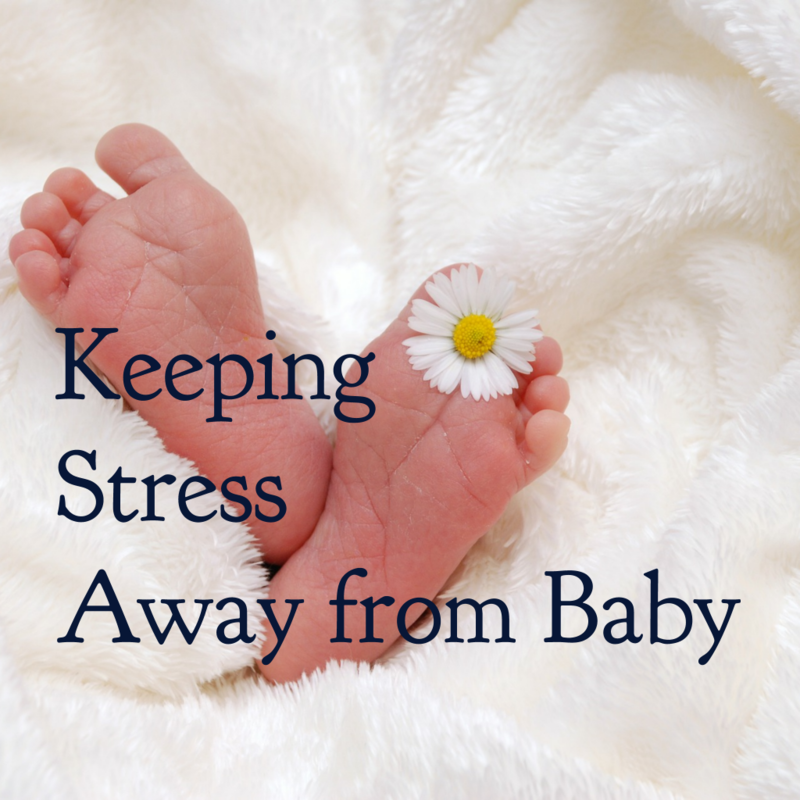 Stress can negatively affect mom and baby, including affecting baby’s gene expression. The fact is, what we eat or don’t eat in pregnancy is important. So is the the rest of our environment. (It’s always important, but moreso when we are growing an entirely new human.) Our environment affects our gene expression–especially in those crucial prenatal months. We used to think genes were set in stone. Some people won the genetic lottery; some people lost. This isn’t the case. Now we are finding that the stone is more malleable than we previously thought. A whole field of study called epigenetics focuses on how environment can turn genes on or off. Epigenetics does not say, “If you dock a mother dog’s tail, the puppies will have short tails.” It does say, “The nutritional and chemical environment of the mother dog during pregnancy will affect how the puppies’ genes are expressed.” This gene expression can affect physical or mental health throughout life. A classical example is Fetal Alcohol Syndrome. The alcohol doesn’t change the genes. It prevents them from expressing properly. Traditional cultures have foods that were considered especially important during pregnancy. As technology has advanced, we’ve discovered that these foods contain vital nutrients for the proper development of the baby. In times before multivitamins and constant access to a wide variety of foods, these could mean the difference between baby survival and baby death. While telling pregnant women what to eat (and what not to eat) is still a big business, other environmental factors are often overlooked. Some of those are the prevalence of endocrine disruptors in modern environments (a whole different post). Another is how stress affects our bodies. Stress isn’t always a bad thing. When we are threatened, stress triggers the release of cortisol. Cortisol drives the fight or flight response. If we are in physical danger, this is helpful. However, in the case of chronic stress, our bodies are releasing cortisol, but there is no fight or flight to use it. The stress of work, family responsibilities, and worries bathes us in cortisol. For pregnant women, it means baby is awash in it too. Along with mom’s diet and personal care products, mom’s stress levels can affect baby’s gene expression. The March of Dimes, Web MD, and and the Encyclopedia of Early Child Development all list various ways maternal stress can negatively impact the health of their child. Well that’s helping all us pregnant ladies relax! Now I can worry about worrying too much. The first important thing to remember is that detrimental effects are connected to high-level, chronic stress, not occasional or low-level stress. Examples often point to women who experience very stressful work conditions, severe illness like HG, or high stress within their primary relationships. 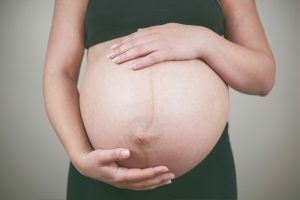 * It isn’t connected to the small, everyday stresses that, truthfully, can build up quickly during pregnancy, unless they develop into chronic stress and anxiety. If we find it interrupting our sleep, affecting our ability to function, or otherwise interfering with life, it needs to be reduced. The second important thing is to remember we can take steps to reduce stress. Reducing stress is an active thing. While it is tempting, just vegging on the couch to Netflix doesn’t actually reduce stress or cortisol levels. Reducing stress requires being proactive and conscious about our actions. Exercise is a well known one, but it isn’t just exercise. Movement reduces stress. It satisfies the flight part of our fight or flight response. Taking a walk, dancing to music, or doing an activity that requires focus and physical movement (like woodworking) can all help reduce stress. It’s not as fun, but for some people, the movement required for tidying up the house helps reduce stress (my husband does dishes to help deal with anxiety attacks). Meditation or meditative prayer is another way to help reduce stress. The mental focus required calms the mind and body. Journaling, particularly in longhand instead of typing, also creates the self-awareness that helps reduce stress. (Scrolling through Facebook, Instagram, or Twitter does not!) If you’re an introvert (like yours truly), seek out the silence or solitude you need to reduce stress. If you are an extrovert, find someone who can commit to joining you. Certain essential oils can also boost your stress relieving efforts. True lavender (lavendula augustifolia–accept no hybrids! ), of course, has a great reputation for relaxation. It has also been extensively studied, as it’s one of the most popular essential oils in the world. In addition to lavender, ylang ylang is a very relaxing essential oil. Bergamot and orange also rank high on the list. For relaxation, diffusion can be the most effective way to use any one or a combination of essential oils. Use a cool mist diffuser inside, or add them to a diffuser necklace of bracelet for take-along stress relief. They can also be applied topically. As the citrus oils can cause photosensitivity, they should not be applied to skin that will be exposed to sunlight within the next 12 hours. Wear or diffuse the oils during your de-stressing activity to get the full benefit! Relieving stress is an active thing. Super-charge it by adding relaxing essential oils. Stress relief is extremely important for both mom and baby’s health–just as important as good diet, adequate sleep, and a toxin-free environment. By adding in stress-relieving activities with relaxing essential oils, you can keep yourself on an more even keel, even during the wild emotional ride of pregnancy. You and baby are worth it. *If you are experiencing verbal or physical abuse from a domestic partner, please contact your local Project Safe for help.